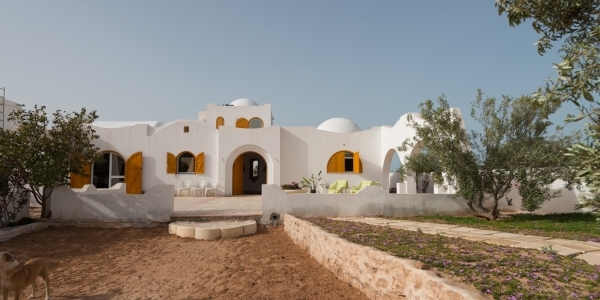 Our ranch is situated in the calm countryside of Djerba, at only a few carminutes away from the touristic zone, the beach and the towns of Midoun and Houmt Souk. Here you can enjoy the calm and beautiful nature, not being bothered by the constant passing of cars, quads etc. but still easily reach all more lively parts of the island. 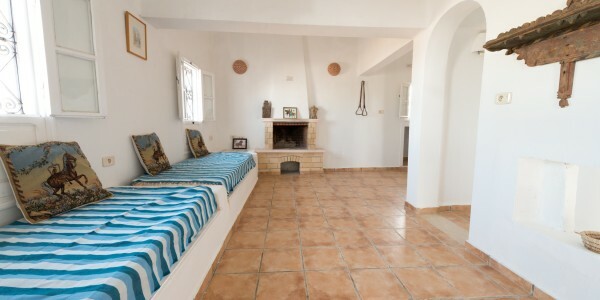 We offer the possibility to pass your holidays at our ranch. 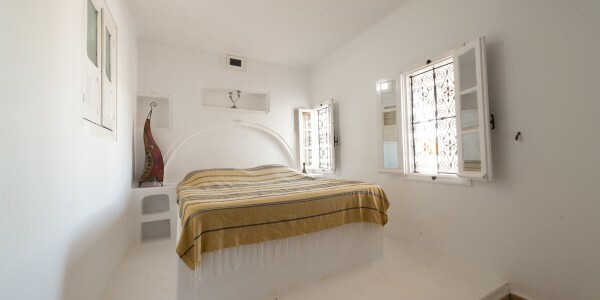 We have two bungalows for rent, one with one double bedroom and one with two doube bedrooms, built in traditional Djerbian style with a living room, ther own kitchen, shower and toilet. 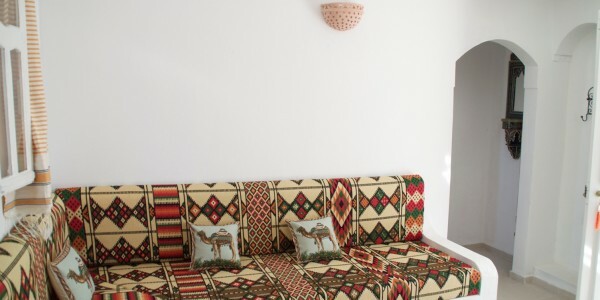 Also there is a double room with its own toilet and shower which can be rented in addition to one of the bungalows. 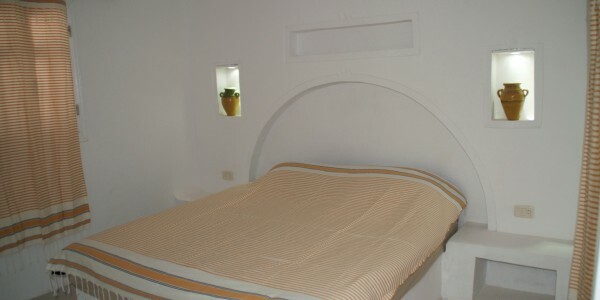 All are equipped with flatscreen TV’s with European channels and a fridge. Breakfast is included, half board is optional. 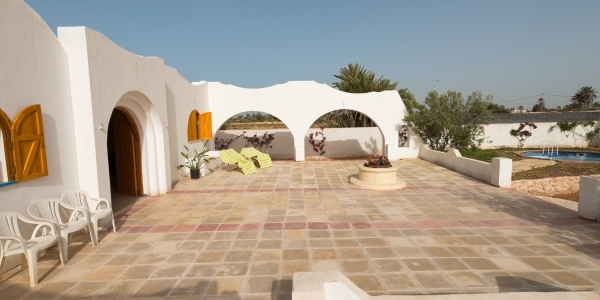 In the garden there is a big terrace with comfortable chairs and parasols at disposition. Free WIFI internet is available. 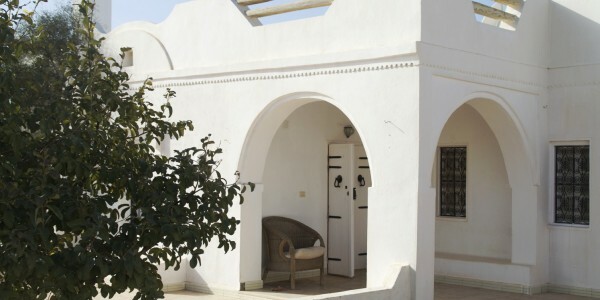 All accomodations have their own private terraces with view on the horses in their paddocks, ideal for any horselover!